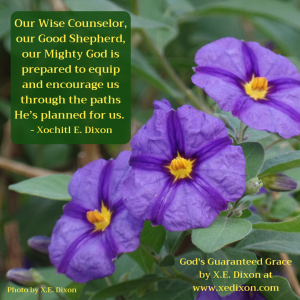 This entry was posted in Encouragement and tagged Encouragement, Prayer, Trusting God by Xochi E. Dixon. Bookmark the permalink. Thanks so much for reminding us of this. I tend not to ask for prayer from those who have more difficulty than I or to “bother” God with details. That’s just erroneous. He cares about everything, and nothing is too small or insignificant. I can give testimony to that just from something simple that happened yesterday, but huge because God answered a prayer I barely whispered. Your posts are a blessing. Please keep it up! Praying for you. Hallelujah! What a blessing it is to hear how the Lord is answering prayers in the lives of His children. I appreciate your encouragement, Colleen. May God be praised, as His might is magnified and His name is glorified. Hallelujah! I received your book today. I don’ t think any gift could bless me as much as this one. My prayer for you is that Our Lord Jesus who we celebrate this Christmas will bless you and your family with His presence and peace. I also pray for pain free days for both of us as we go through this this season. I again thank you for the book. I can’t wait to start my day with it. YAY! 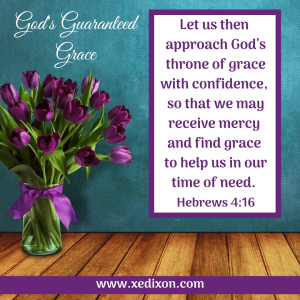 I’m so thankful the Lord chose you to receive one of the books, Judy. I appreciate your prayers and your encouragement, Sister. To God be the glory, the honor, and the praise!